The following links provide information related to paratransit and accessible transportation. The San Mateo County Commission on Disabilities works to promote the independence and full participation of people with disabilities in San Mateo County. The Metropolitan Transportation Commission is responsible for planning transportation throughout the Bay Area. It administers the distribution of the primary sources of funding for paratransit and established the regional process for ADA eligibility screening. 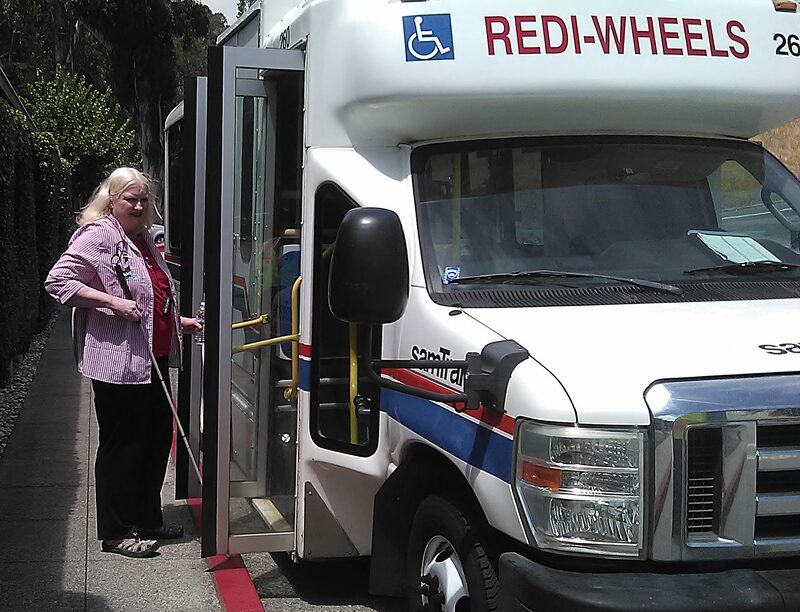 The National Aging and Disability Transportation Center is a program of the U.S. Department of Transportation, the Federal Transit Administration, and administered by Easter Seals and the National Association of Area Agencies on Aging. The site features resources and publications. The National Council on Disability (NCD) is an independent federal agency making recommendations to the President and Congress on issues affecting Americans with disabilities. The site contains links to valuable information on a variety of subjects and links to other federal agencies. The National Organization on Disability (NOD) promotes the full and equal participation of Americas with disabilities in all aspects of life. NOD is concerned with all disabilities, all age groups and all disability issues. The site features FAQs, publications, press releases and links to other related sites. The Federal Transit Administration, Office of Civil Rights, is responsible for ensuring compliance with the paratransit provisions of the Americans with Disabilities Act. The website includes relevant regulations and examples of letters of finding concerning formal complaints. Information is also provided on how to file a complaint. The U.S. Department of Justice Americans with Disabilities Act features ADA Accessibility Guidelines, Enforcement Status Reports, Settlement Agreements, Technical Assistance Materials, and the Toll-Free ADA Information Line. To obtain answers to general and technical questions about the ADA and to order technical assistance materials, call 1-800-514-0301 (voice) or 1-800-514-0383 (TDD). The California Association for Coordinated Transportation (CalACT) is the statewide association of paratransit operators and rural transit operators. Its web site contains information about upcoming events, news releases, a directory of members, and copies of the CalACT newsletter. Click here for information about California laws and legislation.